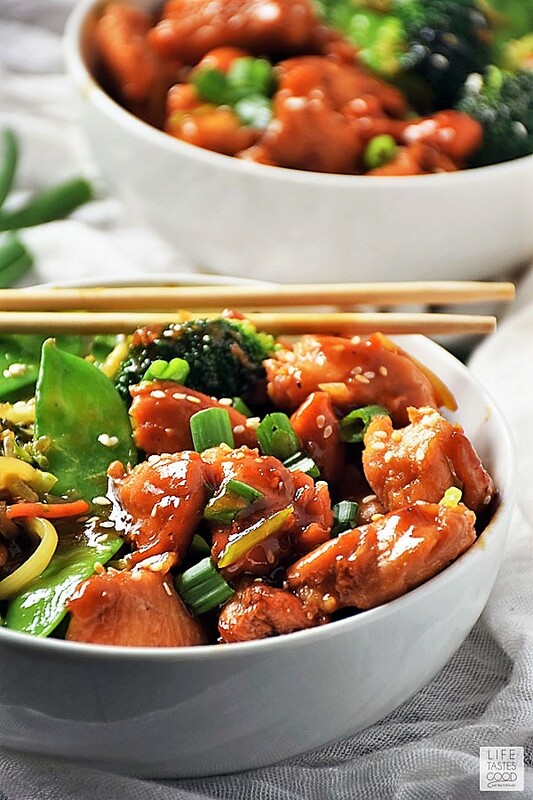 Tender garlicky chicken in a homemade teriyaki sauce with slightly crispy, fresh stir fry vegetables served over a bowl of fluffy Basmati rice. Our Teriyaki Rice Bowl is both healthy and delish, and makes the perfect Simple Dinner Recipe for Two! Rice bowls are super easy to make and perfect Simple Dinners for Two that leave you with a little leftover for lunch too. I love them so much because most of the time I'm just cooking for two these days, and rice bowls are so versatile I can whip one up in just about any flavor combo when I have a craving. In addition to this Teriyaki Rice Bowl recipe, you'll want to check out all of my rice bowl recipes. From my Vietnamese Bowl with Pork Meatballs over Rice to my Greek Bowl with Meatballs over Couscous, there is a rice bowl recipe for everyone. Even bowls you can eat! Rice bowls have become a weekly favorite dinner recipe in our house. 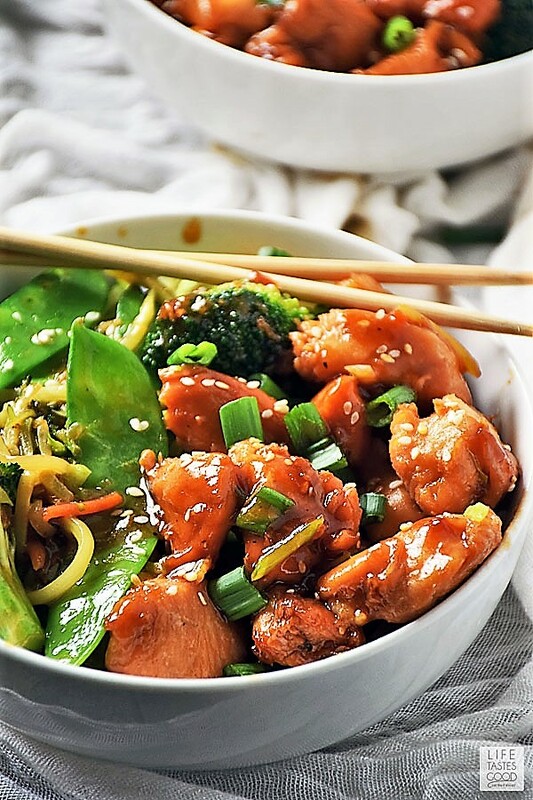 It's difficult to choose a favorite rice bowl recipe, but our Teriyaki Chicken Rice Bowl is definitely a top contender! It's quick and easy to make, ready in about 30 minutes, and SO much better than take out. 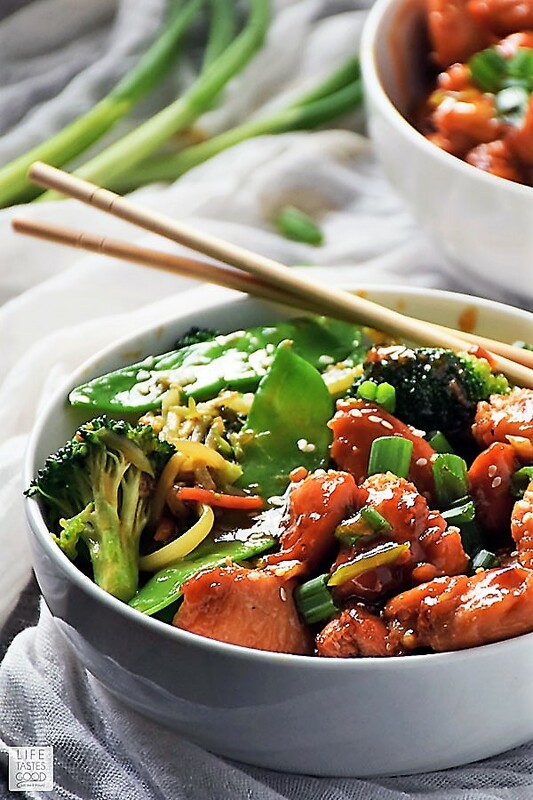 Rice bowls usually consist of rice, vegetables, a protein, and a sauce, so not only are they versatile, but they are a full meal loaded with good-for-you stuff. For an even healthier rice bowl recipe be sure to use brown rice and pair it with a lean protein, fresh vegetables, and a light sauce. Don't be afraid to get creative when creating your own unique rice bowl recipes. When making brown rice for your rice bowl recipe be sure to plan ahead. Brown rice takes 3 times longer to make than white rice! I like to make a big batch of brown rice and freeze it in baggies to use when I need it in a recipe. It's always good to have some prepared to make a quick, healthy rice bowl meal any night of the week! 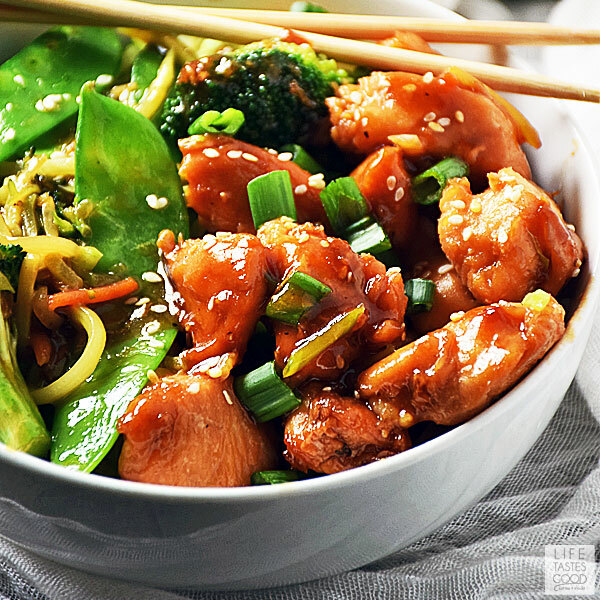 Sometimes I marinate the chicken pieces for this Teriyaki Chicken Rice Bowl recipe, however, it's not necessary if you don't have the time. 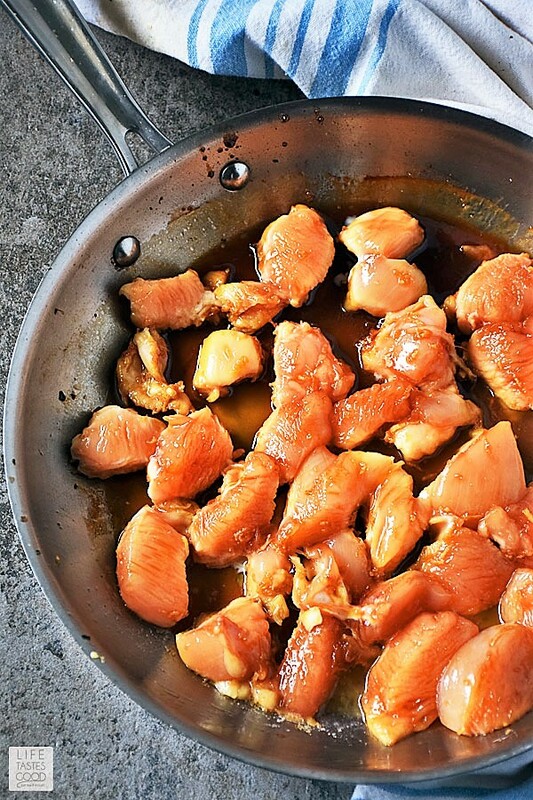 If you want to impart extra teriyaki flavor into the chicken, I recommend marinating at least 30 minutes. Get the rice going first. 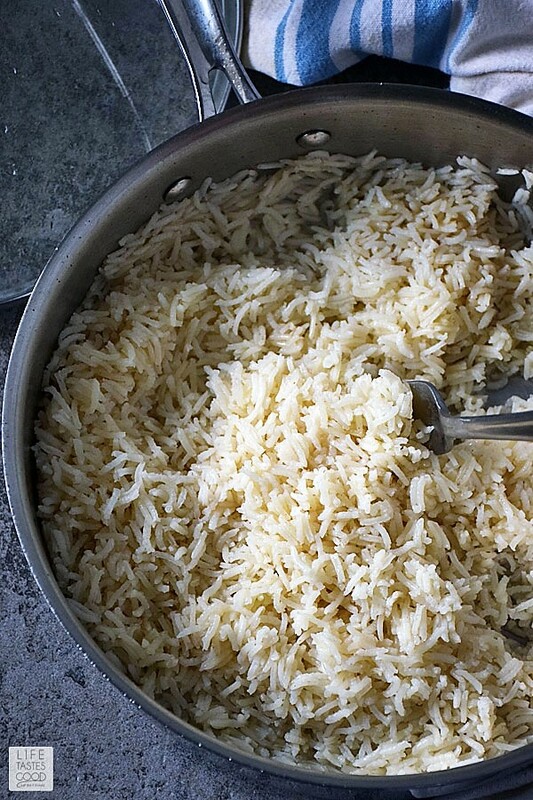 Always rinse the rice before using to remove any starchy dust that can affect the texture of the finished rice. I cook rice in a skillet about 10" in size with a tight fitting lid. You can use white or brown rice in this recipe. Brown is obviously healthier, but I had some white rice on hand so that's what I used. If you are using brown rice, keep in mind it takes 45 minutes instead of 15 minutes to cook and uses about 1/2 cup more water. A note about how I cook rice: I have some issues with the texture of rice when made like most people make it. As a result, over the years, I've played around and came up with a recipe for rice that is more palatable for me. Basically, I use more butter than your typical rice recipe to get a creamier, fluffier texture to the rice. If you don't want to use that much butter, no worries, make the rice how you like it best. I use Basmati rice. We LOVE the flavor and texture of Basmati rice and it is a low-glycemic food. Basmati rice has the lowest glycemic index of all the rices making it a better choice for your health. I also use coconut palm sugar because it has a low glycemic index making it a healthier choice, however, you can sub brown sugar in the same amount. 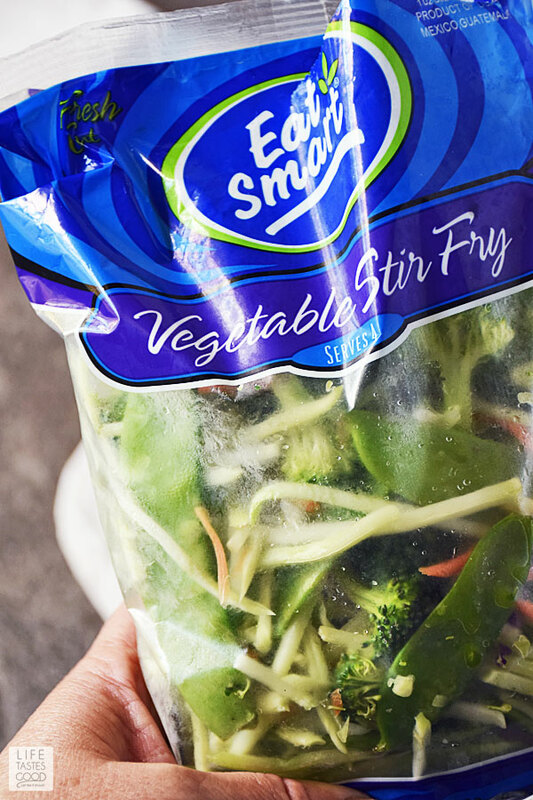 For the vegetables, I use a bag of fresh stir-fry vegetables available in the produce section of my local grocery store. It's about 3 cups of vegetables. See the photo below the recipe for a reference of what I use, but for this recipe you can use your favorite mix of stir fry vegetables. Refer to my photo tutorial below the recipe to see how-to make this Teriyaki Rice Bowl recipe. Tender garlicky chicken in a homemade teriyaki sauce with slightly crispy fresh vegetables served over a bowl of fluffy rice. 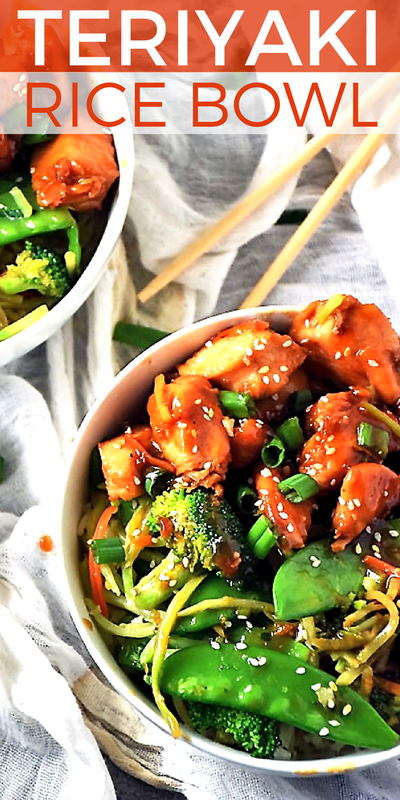 Our Teriyaki Rice Bowl is both healthy and delish, and makes the perfect Simple Dinner Recipe for Two! Start the rice first. Rinse the rice until water runs clear. Rinsing removes any rice dust that can affect the texture of the rice. 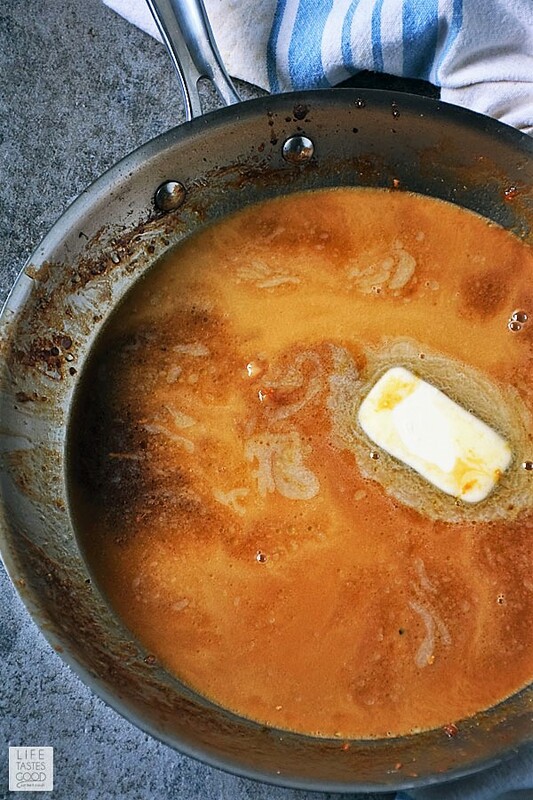 Melt 3 tablespoons butter in a skillet. Add 1 cup rice and stir to coat with butter. Cook until rice is slightly toasted. Add 1 cup chicken stock and 1 cup water with a pinch of salt. Cover and cook on mid-low heat for 12-15 mins until most of the water is absorbed. Remove from heat and allow to sit, covered for 5-10 minutes. Fluff with a fork. Give it a taste and adjust the seasonings to your liking by adding salt and pepper as needed. While the rice is cooking, heat 1 tablespoon sesame oil and 1 tablespoon butter in a skillet over mid-high heat. Add 3 cups fresh stir fry vegetables. Season with salt and pepper and saute for about 3 minutes until tender crisp to your liking. 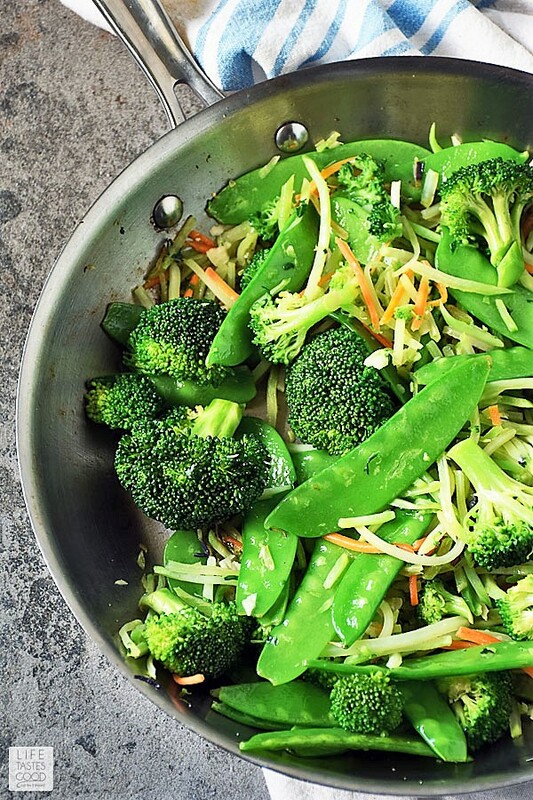 Remove from skillet and reserve vegetables until ready to serve. While rice is simmering, in a medium bowl or measuring cup, whisk together 1/2 cup soy sauce, 1/4 cup coconut palm sugar or brown sugar, 1 1/2 teaspoons freshly grated ginger, 1 tablespoon honey, 1 teaspoon sesame oil, and 3 tablespoons mirin. Set aside until ready to use. Season chicken pieces with 1/4 teaspoon salt and 1/4 teaspoon pepper to your liking. In the same skillet you used to cook the vegetables, melt 1 tablespoon butter over mid-high heat and add seasoned chicken pieces. Allow to sear about 3 minutes until chicken is golden brown on one side. Do not move the chicken around during this searing time. Turn chicken pieces over and add 1 tablespoon freshly minced garlic. Allow the chicken to sear for another 3 minutes until golden brown and cooked through. Stir as needed so the garlic doesn't burn. Remove chicken from skillet and set aside while making sauce. 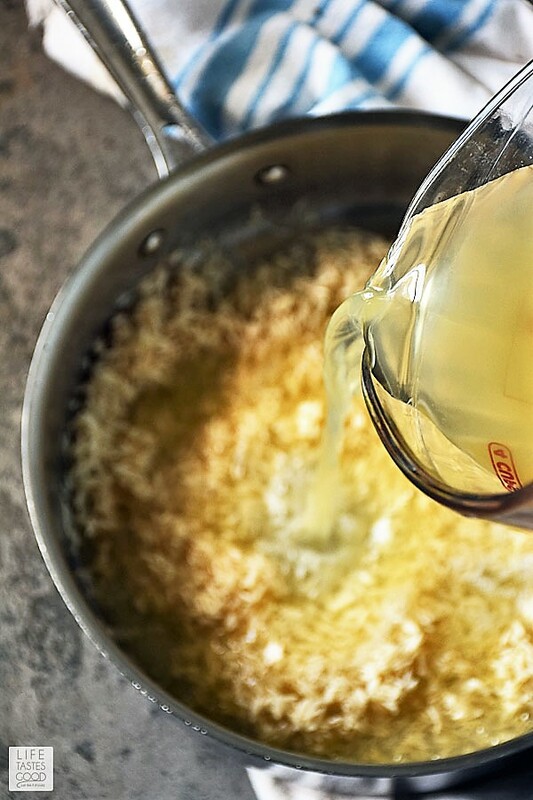 Pour sauce mixture into skillet and add 1 tablespoon of butter and the cornstarch water mixture (1/4 cup water mixed with 1 tablespoon cornstarch). Bring to a boil and boil, stirring constantly, for about 1 minute, scraping bottom of pan to lift any browned bits. Reduce heat to low and simmer for 3-5 minutes. Sauce will thicken nicely. Give the sauce a taste and add 1/8 teaspoon of fresh lemon juice. Give it a taste again and add more lemon juice as needed. The lemon juice really brightens up the sauce. 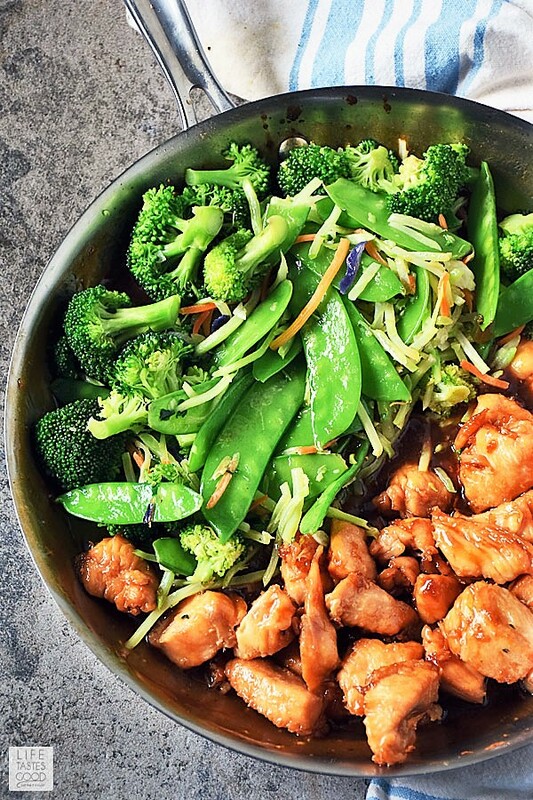 Add chicken and vegetables into the skillet with the sauce and stir to coat. Serve over rice. Garnish with sesame seeds and green onions. Enjoy! Melt 3 tablespoons butter in a skillet. Add 1 cup rice and stir to coat with butter. Cook until rice is slightly toasted. Add 1 cup chicken stock and 1 cup water with a pinch of salt. Cover and cook on mid-low heat for 12-15 mins until most of the water is absorbed. Remove from heat and allow to sit, covered for 5-10 minutes. Fluff with a fork and serve. Season chicken pieces with salt and pepper to your liking. In the same skillet you used to cook the vegetables, melt 1 tablespoon butter and add seasoned chicken pieces. Allow to sear about 3 minutes until chicken is golden brown on one side. Do not move the chicken around during this searing time. Turn chicken pieces over and add 1 tablespoon freshly minced garlic. Allow the chicken to sear for another 3 minutes until golden brown and cooked through. Stir as needed so the garlic doesn't burn. Remove chicken from skillet and set aside while making sauce. In a measuring cup or medium bowl, mix 1/2 cup soy sauce, 1/4 cup coconut palm sugar or brown sugar, 1 1/2 teaspoons freshly grated ginger, 1 tablespoon honey, 1 teaspoon sesame oil, and 3 tablespoons mirin. Whisk to combine. Pour sauce mixture into skillet and add 1 tablespoon of butter and the cornstarch water mixture. Bring to a boil and boil, stirring constantly, for about 1 minute, then reduce heat to low and simmer for 3-5 minutes. Sauce will thicken nicely. Give the sauce a taste and add 1/8 teaspoon of fresh lemon juice. Give it a taste again and add more lemon juice as needed. The lemon juice really brightens up the sauce. I love these flavors you have going on here. 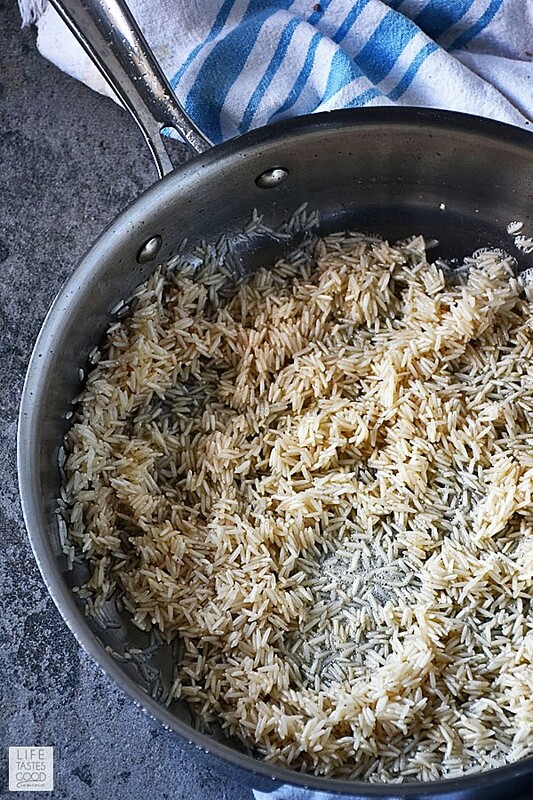 Starting your rice almost like you were making risotto is so smart! 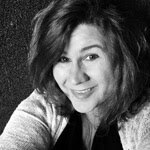 Your teriyaki rice bowl looks terrific---but I'd eat every single other alternative you mentioned, too!! YUM!